It is 2017… I just finished speaking, and people are introducing themselves and thanking me. “You changed the energy in the room.” ” I would love to speak with you.” “Do you have a card?“ People want my attention. I’m being pulled in many directions. I love it. I know some people fear public speaking. There’s one lady that stuck out in high definition. My mind immediately went rogue, aka judgment. She didn’t seem approachable. Truth is, she doesn’t have to be. Regardless, I introduce myself to her. We exchange details and promise to connect. We agreed to do a Zoom video conferencing call. Zoom was awkward at first, but then it became comfortable as we talked. We asked and answered questions. Why NY? She’s English. We got comfortable and laughed. She asked me if I’d heard of NAWBO. I had not. Google is my best friend. She said it was NAWBO, the National Association of Women Business Owners, and she’d love to have me on the board. “Sure,” I said. My one caveat: NAWBO had to be diverse. A year later, I sit on the board of NAWBO, a fantastic organization set up to empower women. With NAWBO my creativity is unabashedly unleashed. I’m sharing this story because it’s important to stay out of your way (your head) and meet people. What you and I think about someone is immaterial. Noticing and pushing past your judgments is essential. 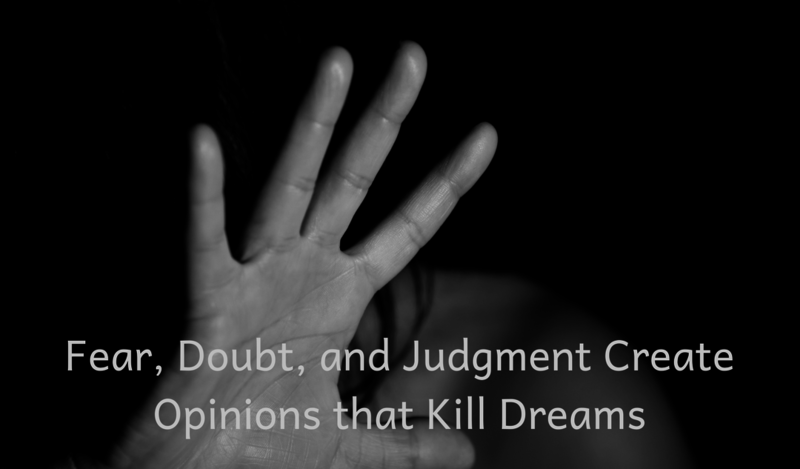 CHECK your fear, doubt, judgments and opinion at the door. Make contact. Get curious. Spot someone. Make eye contact. Share a smile. Begin a conversation. Say hello.